The week is over, it's time to record some stuff and prepare for the heavy metal slaughter that will come later this weekend. So we sit down and we have a new death metal act to enjoy Church of Disgust, now this is the kind of death metal that I needed to power me through. Vicious, repugnant and generally unwilling to compromise, Church of Disgust is more than just a death metal band, these guys are some of the most vicious and unforgiving metal warriors to have ever been spawned in Texas. Their music is brutal, hostile, and utterly destructive. Driven ahead by unapologetic blast beats, roaring guitars and growls that are torn out of the bowels of hell, this is death metal at its finest. 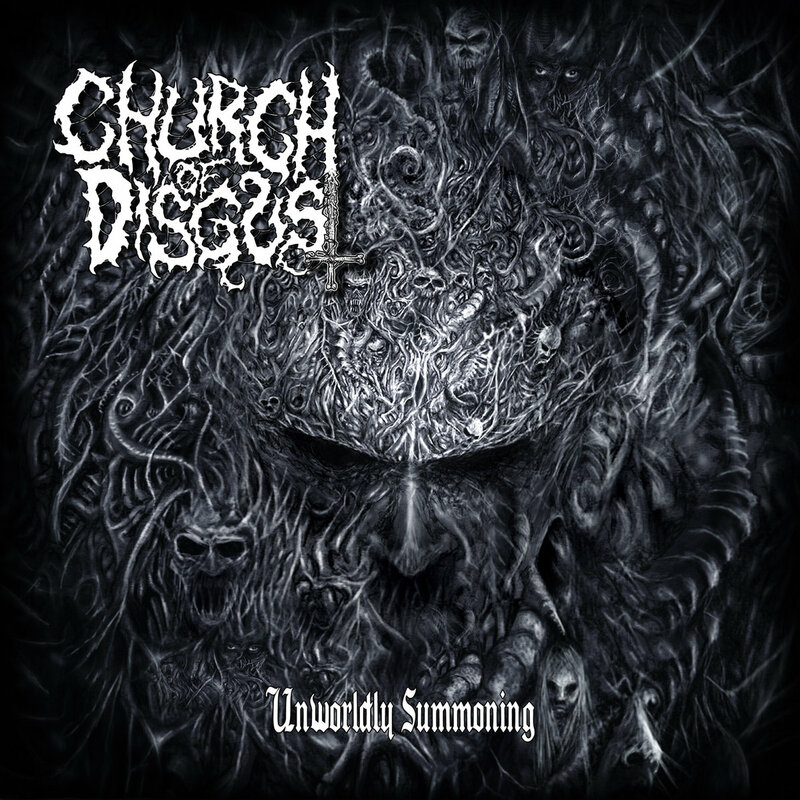 Church of Disgust's new record Unwordly Summoning not only has some of the coolest cover art that I have ever seen but also has some of the best riffs I have heard in a long while. The sheer dedication to brutality and the destructive riffs will keep you entertained for hours on end, this Church of Disgust, this is death metal.